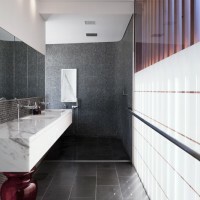 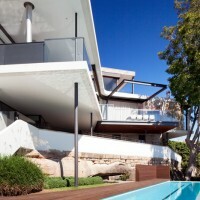 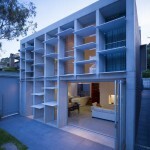 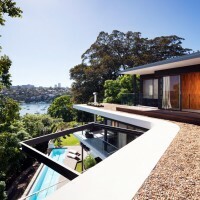 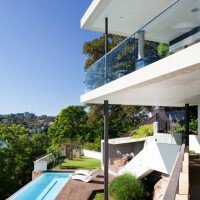 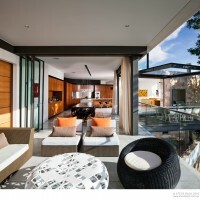 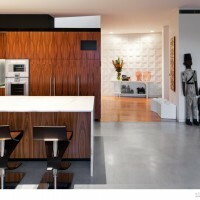 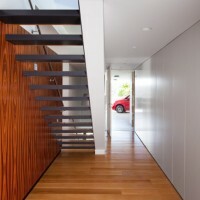 MCK Architects have designed the River House in Sydney, Australia. 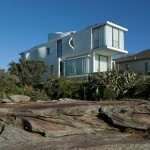 For the River House, the site itself provided both the greatest opportunities, and the largest constraints to the design. 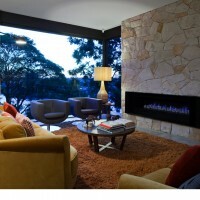 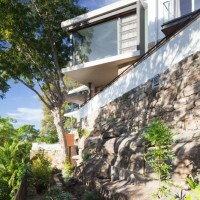 It is both steep and awkwardly shaped, but retains magnificent North facing panoramic views over the Lane Cove River. 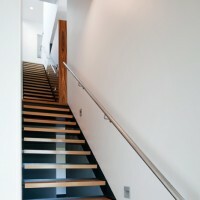 The air-space was therefore utilised to gain additional footprint space, and create a floating datum, effectively the Street Level Ground Floor plane. 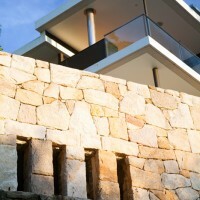 This datum was duplicated as a ‘lid’ over itself hence the two floating parallel floor plates, which proudly cantilever over the existing castle-esque sandstone basement walls. 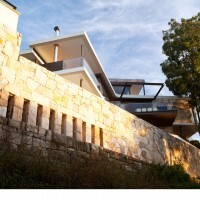 The First Floor shingle box remains largely recessive from the river side. 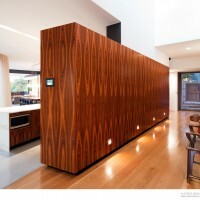 Generous circulation zones greet the user upon entry. 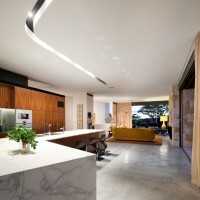 A wedge-shaped joinery box floating in plan like an island, separates the circulation zones from the main Living Zone, and thus heighten the experience of the journey through the space. 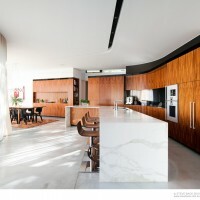 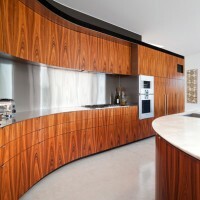 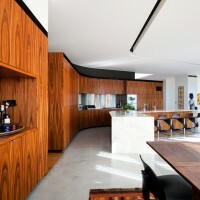 The Main Living Zone is a bent tube shaped form with the Kitchen as the fulcrum. 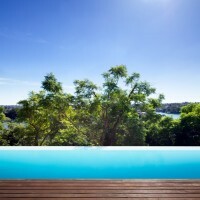 From this space, significant views can be obtained of the local natural precinct. 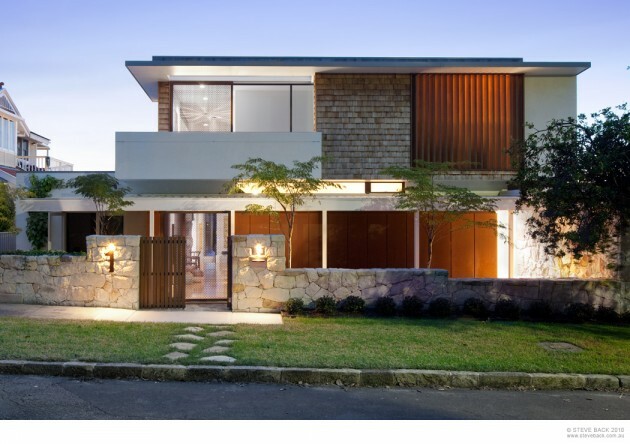 The house itself relates to its rectilinear suburban context at it’s street edge, and it’s more natural contours and organic lines on the non-street side. 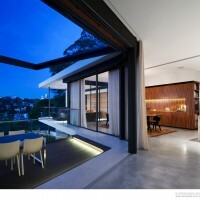 It is here primarily that the house reflects it’s greatest influence: the river. 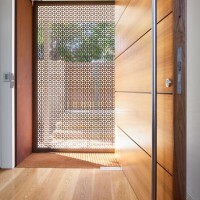 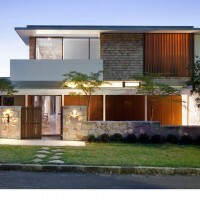 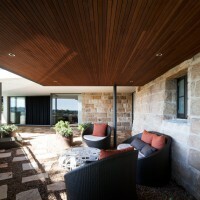 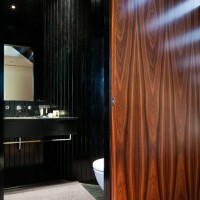 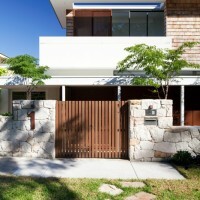 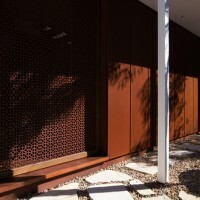 Visit the MCK Architects website – here.